UPDATE: Yogreens closed on 12/2/2011. Yogreens is a new self service frozen yogurt place located at the Carmen Plaza Shopping Center, corner of Carmen and Daily in Camarillo (the one with Big Lots and Trader Joe's). It just opened on Saturday, September 24th. Haven't been there yet but plan to. This is where Polar Bears Ice Cream/Yogurt used to be located. As evidenced by their name, they will serve frozen yogurt and have a salad bar (the latter will be coming soon). I'm not real thrilled with the name Yogreens but at least I understand why they named it that.! Visit their Facebook page for more information. Their number is 805.445.0054. 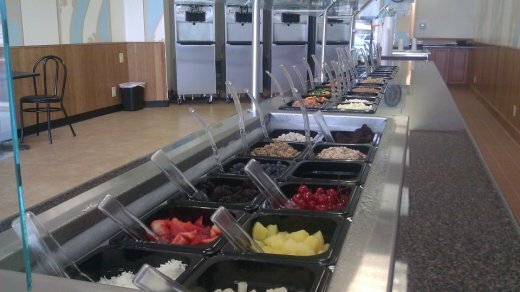 And of course for the most comprehensive list of Frozen Yogurt and other cool treats around Ventura County, CLICK HERE.